Marketers at just about every level of management are running up against that age-old dilemma: How to balance long term brand health with short term results. In the end, we know we have to experiment and innovate as the market changes, but we can't lose ground or put results at risk. Leadership wants BOTH innovation AND results. We've been there (a bunch of times), and have some hard-won insights into how to guide the conversation to ensure everyone gets what they want. It often feels like marketing is a zero-sum game, where results come first and there's no room left for equity building or experimentation. But, we believe you can have it both ways. It's important to make sure to build a little experimentation into each plan. That way, you can deliver on your plan while gaining some experience that informs future experimentation or innovation efforts. 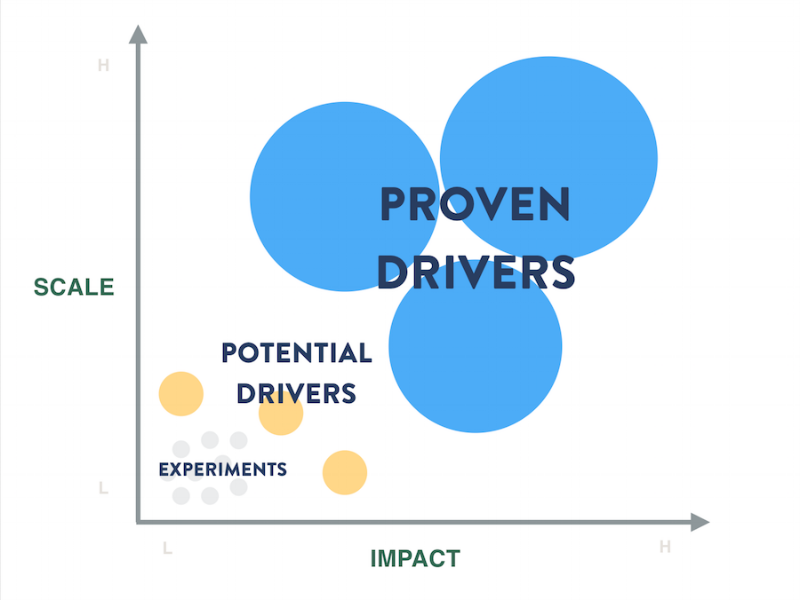 While it takes time and energy from the team, creating a group of small bets keeps your team experimenting without sacrificing the "proven" drivers of brand results. The small bets might be things like testing a new media partner, a new ad format, a new creative message or a different audience. Position these as learning opportunities, but not so big they become distractions or challenges to the main tactics. And, as you design these experiments, take care to communicate how they may potentially scale in the future. That way, you avoid the curse of "Small bets, small ideas means wasted time". Position your experiment and innovation work as part of a balanced portfolio that will deliver against both long and short term brand goals. Like any good portfolio strategy, there be some proven drivers (where you're placing the majority of your focus and investment), some experiments (where you're willing to take some risks at the edge of the portfolio) and some emerging, high potential tactics. Managing your marketing efforts like a balanced portfolio will help your boss understand how you're driving against a number of objectives while also managing downside risk. With these approaches, we believe it's possible to build a healthy, growing brand via short term results and not losing sight of the longer term opportunities to stay relevant to your consumers in new and innovative ways. While you might not be able to have it all, we do thing it's possible to have it both ways. If you'd like to learn more and discuss this approach with us, drop us a line and we'll meet up!